App Annie specializes in analysing how apps perform on a certain platform and provide their findings to interested parties. The data helps developers analyse their app’s standing and use it to push to more users. 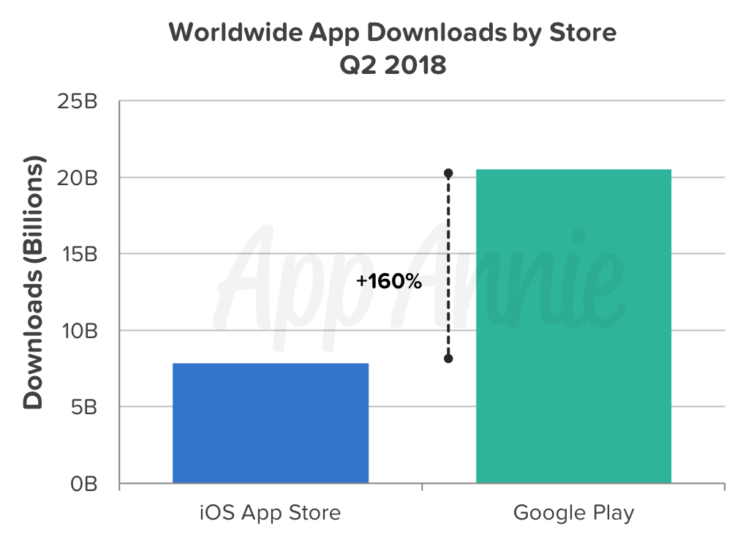 According to App Annie’s Q2 report, Play Store downloads are up significantly, with a 20% rise year-over-year, and 160% higher than Apple’s Play Store. On the other hand, consumer spending is still 80% higher on iOS. The growth of the Play Store was primarily driven by India and Indonesia, both emerging markets to which Google has been paying close attention. It comes as no surprise that consumer spending is still higher in the App Store marketplace. 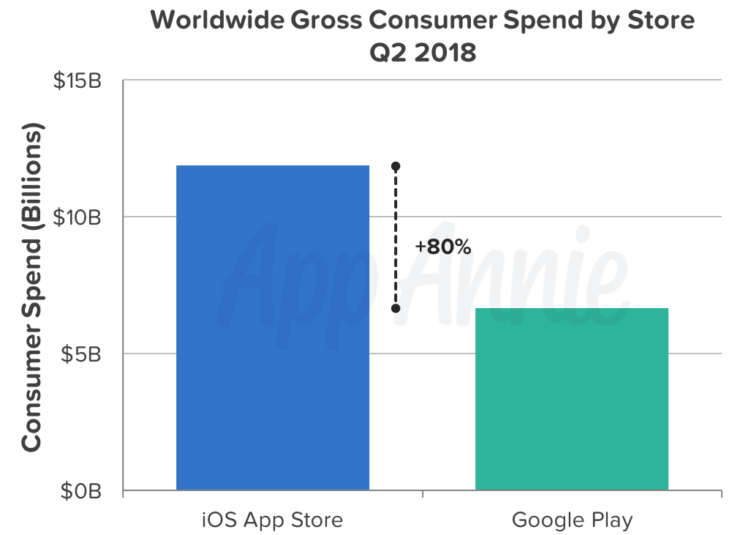 However, the gap is slowly closing compared to Q1, where the App Store exceeded Play Store gross spending by 85%. 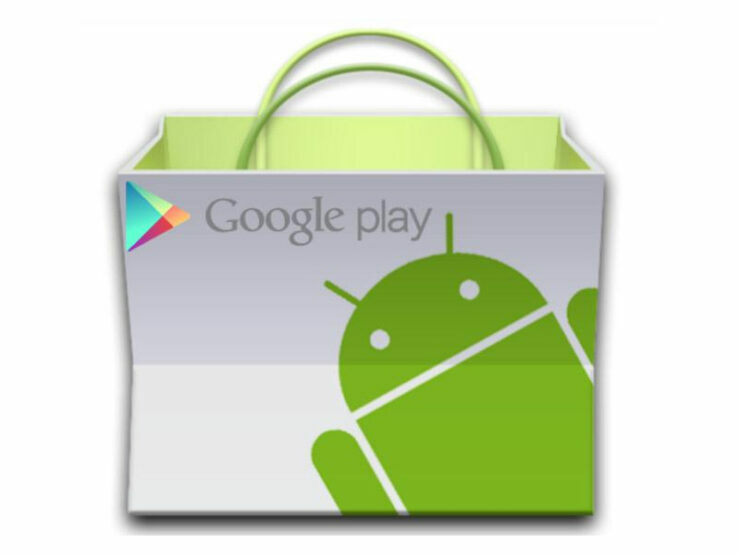 On the Play Store, the increase was primarily driven by games, video players & editors, and sports apps. Sports apps alone contributed significantly to the growth, in part due to the world cup. Some markets saw a 65% rise in sports app use compared to the three weeks before the event. Mobile gaming is gaining traction, thanks to releases such as PUBG mobile and its effect is visible. By market share, the three largest regions for the Play Store are South Korea, the US, and Germany, while iOS’ biggest players were the US, Taiwan, and the UK. 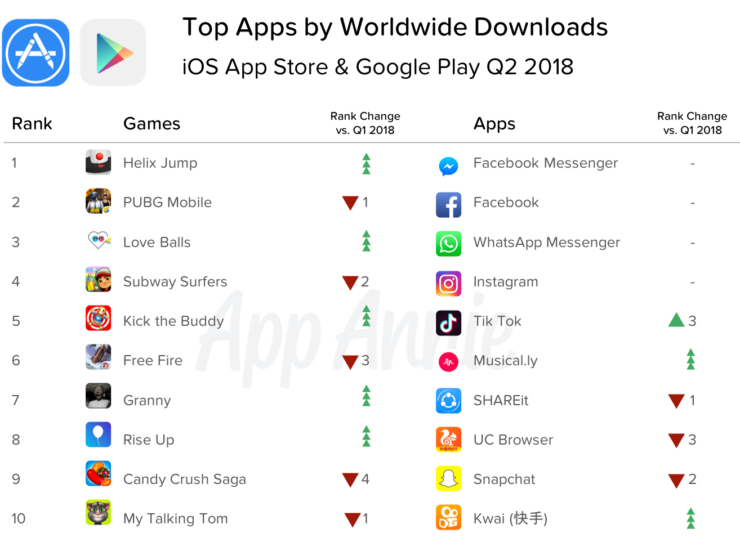 Top charts for both marketplaces are an exciting mix of volatility and stability, with app rankings staying mostly constant and game rankings changing more drastically. Big names like Facebook, Netflix, and WhatsApp still reign supreme, and we don’t see that changing anytime soon. Popular mobile games such as Clash of Clans and Clash Royale and Candy Crush also continue to remain on the top. 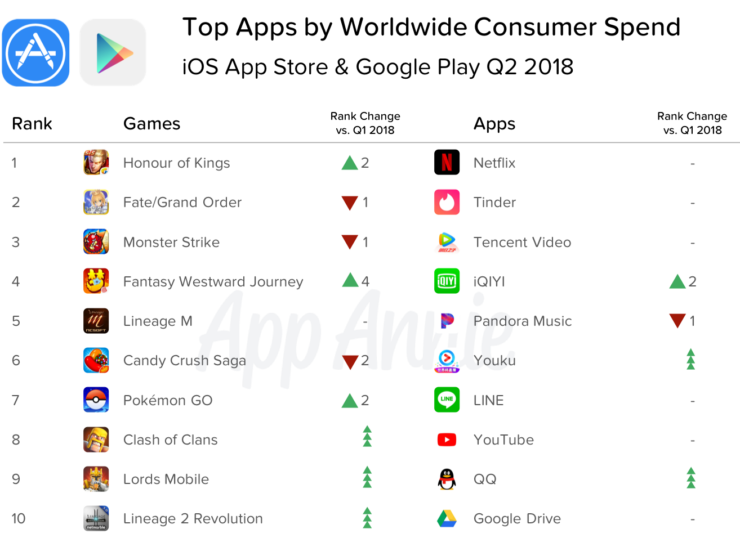 Thankfully, plenty of new arrivals are reaching the top games lists in both paid and free categories for the first time, indicating that there is still scope for new apps to grow. For the full details, check out App Annie’s report in full. It’s a bit boring to read as it is mostly numbers and graphs, but an excellent read if you’re into that kind of stuff.